There are few feelings that are worse than realizing that you have lost or misplaced your home keys. Being locked out of your own home can be a very helpless feeling. You do not want to cause any damage to windows or locks, so you need to know what actions you should take if you ever find yourself in the position of being locked out of your own home. There are a few things that you can do when you first notice that you have lost your home keys. the first thing that you should do is to determine if you have access to a spare house key. You might keep a spare key to your home in a secure location that you can get access to. You might have given a family member or close friend a spare key to your home. If you have a spare key, you can use this key in the vent that you lose your own house key.Having a spare key to your home is a good idea, but not everyone has a spare key made. 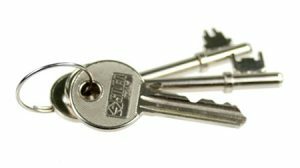 If you do not have a spare house key that you can use when yours becomes lost or stolen, you will need to call on a professional locksmith right away. Calling a locksmith when you are locked out of your home is the best option for you. a trained and skilled locksmith has the ability to get you access into your home. This means that they have the right tools and knowledge to get you back into your home and cut you a new key that can replace the key that you have lost. This means that it really is the perfect solution. this means that the first step that you should take is to call a locksmith that you can depend on to get the job done. Make sure that you only call a locksmith that has a great reputation in the region and is known for providing high quality home lockout services. There are many different locksmiths that you can choose from, but you need to be sure that you make the right selection to ensure that your home lockout issue is corrected with ease. There are few things worse than being locked out of your home and you want to solve the problem right away.